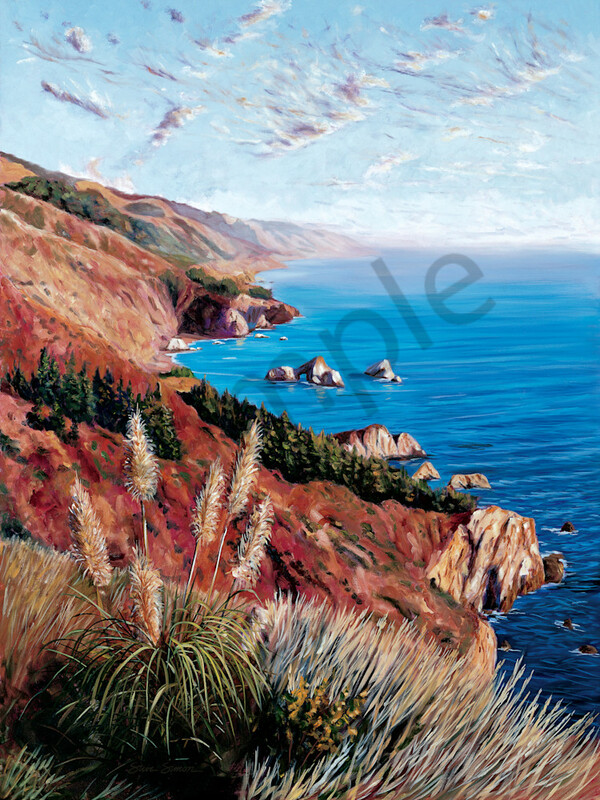 Oil painting of Julia Pfeiffer Burns State Beach along the Big Sur Coast of California. Julia Pfeiffer Burns State Park features several trails, including a very short one to a beautiful sight: McWay Fall, which drops down a cliff onto the sandy beach. The trail contours above the beach, permitting views from many angles, but access to the beach is not permitted. Pampas grass in bloom is featured in the foreground of this painting.